A career in criminal justice allows people to engage in meaningful work that helps keep their communities safe and secure. There are numerous career opportunities to choose from, within the field. Depending on the specialization, degree holders can pursue a career as a corrections officer, criminologist, FBI agent, DEA agent, police officer, crime scene investigator, private investigator, or U.S. marshal. According the Bureau of Labor Statistics, job prospects in criminal justice related fields range from favorable to excellent. Online colleges and criminal justice degree programs vary widely in terms of quality, name recognition, and value. 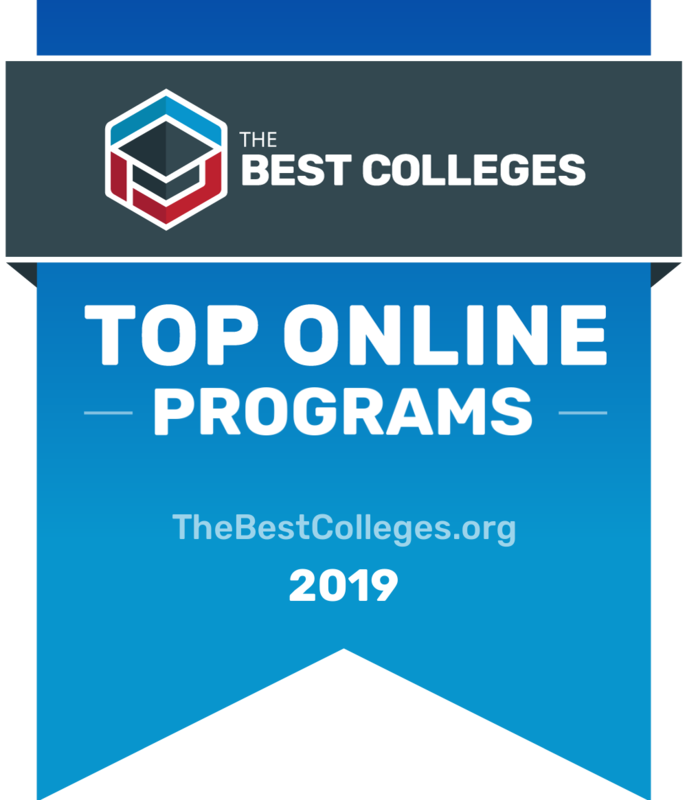 To assist those looking for a high-quality, accredited online criminal justice degree program, we've put together this ranking of what we consider to be the very best online schools offering master of criminal justice degree programs for 2019. Our rankings of the top online schools offering master's in criminal justice degrees are based on publicly available data evaluated according to several different criteria, including reputation, accreditation, student satisfaction, ratio of students to instructors, and tuition. You can read more about our rankings philosophy and find a list of our other top college and degree rankings on our rankings page. What Are The Top Online Master of Criminal Justice (MCJ) Degree Programs? Evaluation: Xavier University has been recognized as one of the top 10 universities in the Midwest for the last 20 years by U.S. News & World Report, including a rank of fifth for 2015. Program: The Master of Science in criminal justice program is designed for those persons who are interested in studying the theory and practice of criminal justice in law enforcement, courts and corrections. Students graduate with an understanding of the dynamics of criminal and delinquent behavior, the nature and scope of the crime and delinquency in contemporary society, and the current efforts by the criminal justice system to address these issues. Regional Accreditation: Xavier University is accredited by the Higher Learning Commission of North Central Association of Schools and Colleges. Click here to learn more about online degrees at Xavier University. Evaluation: Small class sizes and strong completion rates at one of the best universities in the country makes this our pick for the top online master of criminal justice program. Program: A 40 credit hour (10 course) online Master of Criminal Justice (MCJ) degree program. Can be completed in less than two years. Designed for working law enforcement professionals looking to deepen their practical and theoretical understanding of criminal justice. All faculty have extensive academic and practical experience in the criminal justice field. 100% online. No campus visits required. Regional Accreditation: New England Association of Schools and Colleges, Commission on Institutions of Higher Education. Click here to learn more about online degrees at Boston University. Evaluation: A top-ranked private Catholic university brings 50 years of criminal justice education experience to the internet with one of the best online master of criminal justice administration programs around. Program: A 36 credit hour online Master of Science in Criminal Justice Administration (MSCJA) degree program. Justice Administration or Forensic Science Administration specializations. Both programs designed to enable students to take a broad view of criminal justice in preparation for leadership and administrative positions. Includes training in organizational administration, budget planning and media management. Rooted in Jesuit tradition of values-based education, social justice and service. 100% online. No campus visits required. Regional Accreditation: Southern Association of Colleges and Schools. Click here to learn more about online degrees at Loyola University New Orleans Online. Evaluation: A respected Catholic university in the Jesuit traditions offers one of the best online master of criminology degree programs available through its award winning adult education division. Program: A 36 credit hour online Master of Science in Criminology degree program. Designed for working criminal justice professionals looking to move into leadership positions in law enforcement, corporate and government security, protective services, NGO management, homeland security administration, U.S. Customs, and immigration. All faculty either current or one-time practitioners in the criminal justice field. Curriculum provides in-depth understanding of the criminal mind and is rooted in the Jesuit tradition. 100% online. No campus visits required. Regional Accreditation: North Central Association of Colleges and Schools, The Higher Learning Commission. Click here to learn more about online degrees at Regis University Online. Evaluation: Small class sizes and affordable tuition from a top public university make this a top pick for online master of criminal justice degree programs. Program: A 33 credit hour online Master of Science in Criminal Justice (MSCJ) degree program. Emphasizes the development of individuals for leadership roles in criminal justice agencies, future doctoral studies and/or teaching. Curriculum focuses on the theoretical underpinnings and practical issues in law enforcement, corrections, courts and juvenile justice. Comprehensive capstone project integrating entire learning experience required for graduation. 100% online. No campus visits required. Click here to learn more about online degrees at Bowling Green State University Online. Evaluation: A respected public university with the oldest degree-granting School of Criminal Justice in the country offers one of the best online master of criminal justice programs around. Program: A 30 credit hour online Master of Science in Criminal Justice (MSCJ) program from the MSU School of Criminal Justice. Specializations available in Security Management and International Focus. Integrates policy and theory to provide working criminal justice professionals with enhanced skills and understanding. Taught by the same MSU faculty as the on-campus program. 100% online. No campus visits required. Click here to learn more about online degrees at Michigan State University Online. Evaluation - A top-ranked College of Criminology & Criminal Justice at a highly regarded public university offers an excellent online master of criminal justice program. Program: A 36 credit hour online Master of Science in Criminal Justice (MSCJ) from the FSU College of Criminology & Criminal Justice. 21 credits of electives allow students to design program to fit their particular career interests. Designed for working criminal justice professionals interested in moving into leadership positions in law enforcement, corrections, juvenile justice and other criminal justice-related positions. 100% online. No campus visits required. Regional Accreditation: Southern Association of Colleges and Schools, Commission on Colleges. Click here to learn more about online degrees at Florida State University Online. Evaluation: An internationally rated public university with an excellent online and distance education program offers one of the country's top master's in criminal justice programs completely online. Program: A 33 credit hour online Master of Arts (MA) in Criminal Justice degree program. Administered by the UMass Lowell campus. Designed for working criminal justice professionals desiring the knowledge and skills to move into leadership or teaching positions within the profession. Multi-disciplinary, academically rigorous, with a practical and empirical focus. Multiple electives allow students to shape program towards their particular professional interests. 100% online. No campus visits required. Click here to learn more about online degrees at UMassOnline. Graduates from top accredited online master of criminal justice (MCJ) programs will be in an excellent position to take advantage of the growing demand for qualified leaders and administrators in the criminal justice system. A master’s degree in criminal justice will broaden and deepen your knowledge of all aspects of criminal justice and make you a more attractive candidate for promotions and salary raises, through the expansion of your professional competencies. A master’s degree is also a prerequisite for anyone interested in teaching criminal justice at the college level or pursuing a doctoral degree. Master’s degrees in criminal justice are actually one of the most popular degree programs online. And now, prospective students seeking their master’s in criminal justice have dozens of high quality online programs to choose from. In fact, many of the very best criminal justice programs in the country are now offered online. Among the many advantages of earning a master’s degree from a top online criminal justice program is that student’s can maintain their employment and/or family responsibilities while earning their degree. In 2016, students with a master’s in criminal justice earned a median salary of $61,600. Over the next ten years, overall job growth in criminal justice is expected to increase by 4%, but specified career options often have higher rates of growth. By earning your master’s in criminal justice online, you will open doors to careers in forensic psychology, criminology, and more. As with any career, you can expect your salary to increase in correspondence to your experience in the field. The following chart details the mean salaries you can expect to earn as a graduate from an online master's in criminal justice degree. Earning a master's in criminal justice opens doors to career opportunities unavailable to those holding only a bachelor's degree/certification in the field. Additionally, those holding an MA or MS in criminal justice often find that they make more money than those with less advanced degrees, even within the same position. See the table below to compare median wages of different careers in the field and the degree requirements needed for a given position. A master's in criminal justice is a broad degree option that leads to many different potential careers. While many of these occupations are available to professionals with a bachelor's degree, it is often the case that those with a master's will earn substantially more money in the same position than those with a less advanced degree. There are many potential fields one can enter once earning their master's in criminal justice. Some examples include correctional officers/bailiffs, EMT's/paramedics, private detectives, security guards, and surveillance officers. Many of these positions can be entered with a minimum of a high school diploma, but those with higher levels of education can expect to make more money over the course of their career. Like many careers today, the field of law enforcement and criminal justice has become extremely competitive, with the vast majority of jobs going to "connected" candidates. Professional associations are a great option for students looking to get their foot in the door of a relevant industry. While a great academic record and on-the-job experience may get you an interview, it may be harder to land the job without being previously connected with those already established in the industry. Professional associations offer students the chance to join a group of professionals with years of experience and innumerable connections. These people not only help students learn about the industry firsthand, but also offer connections to potential employers and job opportunities. The following list consists of professional associations to consider when working to build a career in criminal justice. To determine the best online Master of Criminal Justice (MCJ) programs, we looked at the most important factors prospective students, mainly common predictors of future success and a school's commitment to online programs. This boils down to admissions rate, student loan default rate, retention rate, graduation rate, and the percent of students enrolled in online classes. All data points are taken from information provided by colleges and universities to the National Center for Education Statistics. Each factor is weighted evenly in order to give an objective view and determine the 9 best online Master of Criminal Justice (MCJ) programs. To calculate our rankings, we looked at a school's ranking when organized by a single factor, and then averaged each category's ranking to find an overall score: Admissions Rate (20%) + Default Rate (20%) + Retention Rate (20%) + Graduation Rate (20%) + Percent of Students Enrolled in Online Classes (20%) = Final score.